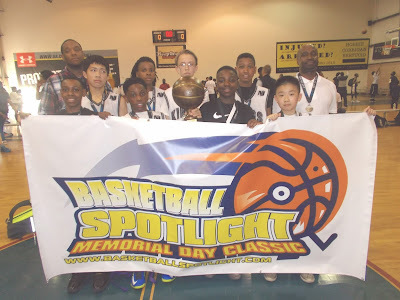 BASKETBALL SPOTLIGHT NEWS: Basketball Spotlight MDC 6th Grade Championship Recap: KSK Victorious! Basketball Spotlight MDC 6th Grade Championship Recap: KSK Victorious! King Street Kings held on to beat a stubborn WE R 1 46-40 to win the Basketball Spotlight MDC 6th Grade Championship. Congratulations to both teams for making it to the finals. KSK had a few weapons on this teams and Santos was one of them. He not only can score several ways but he also can help his team on the boards. He has good size for this level and uses it to his advantage. He’s a matchup problem at times.